While I was otherwise engaged fighting Leukaemia a lot of people were inspired to do something to help in whatever way they could. Time and time again I was overwhelmed by their generosity, not only with their money but, also their precious time. Some of them I hardly knew before my illness but, they still felt compelled to ‘do something’. Generally people can be so kind and generous and seeing this really has restored my faith in humanity! 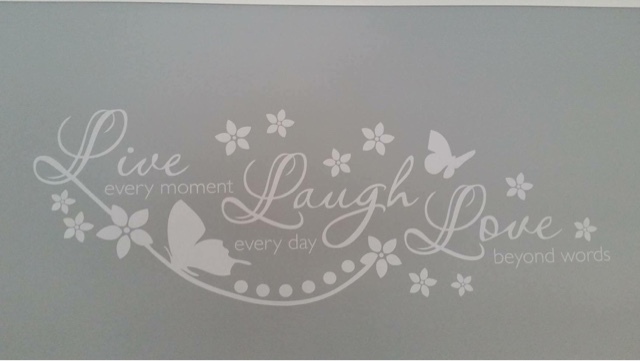 This post is about my friend Gemma who designs and produces custom vinyl decals for wall art, vehicles and signs. 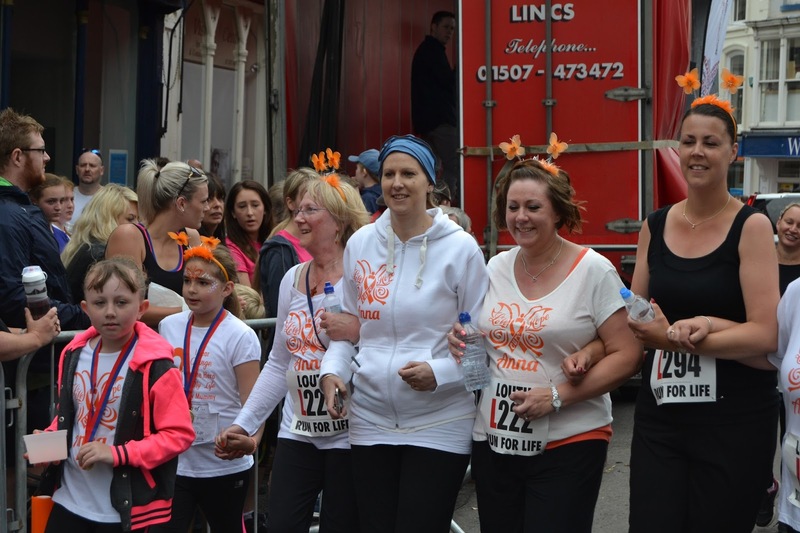 We didn’t know eachother very well before but, when she heard about the creation of the Anna’s Butterflies team for the Louth Run For Life it inspired her to create a logo that could be used for the event. Gemma wanted to use her skills and give up lots of her time to help the cause! It all started when her partner took part in a coast to coast bike ride organised by my husband with his work colleagues and the support of DS Smith the company he works for. When I was suddenly diagnosed with Leukaemia they decided to do it to raise funds for Bloodwise which at the time was the Leukaemia and Lymphoma Society. I was so touched by this as so many people were putting themselves out and giving up a lot of their time to support us. Gemma’s partner had never cycled before but brought himself a bike as he really wanted to take part but she knew she wouldn’t be able to cycle with them but really wanted to do something to help. Originally the idea was to come up with a design for stickers to sell giving the profits to the charity. While talking about it to a mutual friend Gemma was told of my obsession with butterflies and so this idea was born also incorporating the words ‘Love’, ‘Hope’ and ‘Cure’. This logo is so me!! 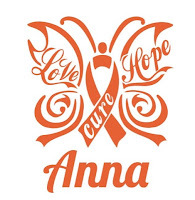 Soon after this, with the Run for Life getting closer my husband and a friend suggested a logo to go on the t-shirts of the people taking part under ‘Anna’s Butterflies’. 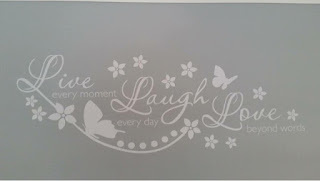 Gemma also designed this wall art for my lounge wall which my husband organised as a surprise ready for me when I came home for one of my ‘treatment breaks’. Previous Post My 40th – Double Celebration! Next Post What is Acute Myloid Leukaemia?